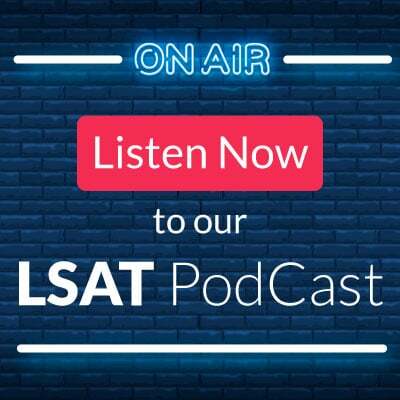 Questions and Answers for the Logic Games section of the November 2018 Law School Admissions Test. 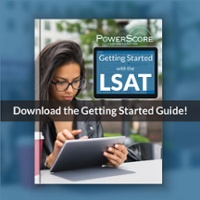 Questions and Answers for the Logic Games section of the September 2018 Law School Admissions Test. Questions and Answers for the Logic Games section of the December 2017 Law School Admissions Test. Questions and Answers for the Logic Games section of the September 2017 Law School Admissions Test. Questions and Answers for the Logic Games section of the June 2017 Law School Admissions Test. Questions and Answers for the Logic Games section of the December 2016 Law School Admissions Test. Questions and Answers for the Logic Games section of the September 2016 Law School Admissions Test. Questions and Answers for the Logic Games section of the June 2016 Law School Admissions Test. Questions and Answers for the Logic Games section of the December 2015 Law School Admissions Test. Questions and Answers for the Logic Games section of the October 2015 Law School Admissions Test. 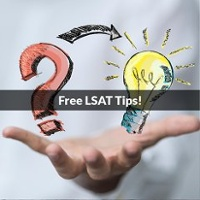 Questions and Answers for the Logic Games section of the June 2015 Law School Admissions Test. Questions and Answers for the Logic Games section of the December 2014 Law School Admissions Test. Questions and Answers for the Logic Games section of the June 2014 Law School Admissions Test. Questions and Answers for the Logic Games section of the December 2013 Law School Admissions Test. 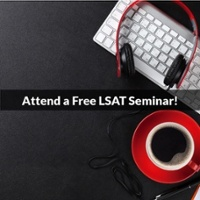 Questions and Answers for the Logic Games section of the June 2013 Law School Admissions Test. Questions and Answers for the Logic Games section of the December 2012 Law School Admissions Test. Questions and Answers for the Logic Games section of the October 2012 Law School Admissions Test. 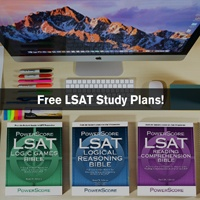 Questions and Answers for the Logic Games section of the June 2012 Law School Admissions Test. Questions and Answers for the Logic Games section of the December 2011 Law School Admissions Test. Questions and Answers for the Logic Games section of the October 2011 Law School Admissions Test. Questions and Answers for the Logic Games section of the June 2011 Law School Admissions Test. Questions and Answers for the Logic Games section of the December 2010 Law School Admissions Test. Questions and Answers for the Logic Games section of the October 2010 Law School Admissions Test. Questions and Answers for the Logic Games section of the December 2009 Law School Admissions Test. Questions and Answers for the Logic Games section of the September 2009 Law School Admissions Test. Questions and Answers for the Logic Games section of the June 2009 Law School Admissions Test. Questions and Answers for the Logic Games section of the December 2008 Law School Admissions Test. Questions and Answers for the Logic Games section of the October 2008 Law School Admissions Test. Questions and Answers for the Logic Games section of the June 2008 Law School Admissions Test. Questions and Answers for the Logic Games section of the December 2007 Law School Admissions Test. Questions and Answers for the Logic Games section of the September 2007 Law School Admissions Test. Questions and Answers for the Logic Games section of the June 2007 Law School Admissions Test. Questions and Answers for the Logic Games section of the December 2006 Law School Admissions Test. Questions and Answers for the Logic Games section of the September 2006 Law School Admissions Test. Questions and Answers for the Logic Games section of the June 2006 Law School Admissions Test. Questions and Answers for the Logic Games section of the December 2005 Law School Admissions Test. Questions and Answers for the Logic Games section of the October 2005 Law School Admissions Test. Questions and Answers for the Logic Games section of the June 2005 Law School Admissions Test. Questions and Answers for the Logic Games section of the December 2004 Law School Admissions Test. Questions and Answers for the Logic Games section of the October 2004 Law School Admissions Test. Questions and Answers for the Logic Games section of the June 2004 Law School Admissions Test. Questions and Answers for the Logic Games section of the December 2003 Law School Admissions Test. Questions and Answers for the Logic Games section of the October 2003 Law School Admissions Test. Questions and Answers for the Logic Games section of the June 2003 Law School Admissions Test. Questions and Answers for the Logic Games section of the December 2002 Law School Admissions Test. Questions and Answers for the Logic Games section of the October 2002 Law School Admissions Test. Questions and Answers for the Logic Games section of the June 2002 Law School Admissions Test. Questions and Answers for the Logic Games section of the October 2001 Law School Admissions Test. Questions and Answers for the Logic Games section of the June 2001 Law School Admissions Test. Questions and Answers for the Logic Games section of the December 2000 Law School Admissions Test. Questions and Answers for the Logic Games section of the October 2000 Law School Admissions Test. Questions and Answers for the Logic Games section of the June 2000 Law School Admissions Test. Questions and Answers for the Logic Games section of the February 2000 Law School Admissions Test. Questions and Answers for the Logic Games section of the December 1999 Law School Admissions Test. Questions and Answers for the Logic Games section of the October 1999 Law School Admissions Test. Questions and Answers for the Logic Games section of the June 1999 Law School Admissions Test. Questions and Answers for the Logic Games section of the February 1999 Law School Admissions Test. Questions and Answers for the Logic Games section of the December 1998 Law School Admissions Test. Questions and Answers for the Logic Games section of the September 1998 Law School Admissions Test. Questions and Answers for the Logic Games section of the June 1998 Law School Admissions Test. Questions and Answers for the Logic Games section of the December 1997 Law School Admissions Test. Questions and Answers for the Logic Games section of the October 1997 Law School Admissions Test. Questions and Answers for the Logic Games section of the June 1997 Law School Admissions Test. Questions and Answers for the Logic Games section of the February 1997 Law School Admissions Test. Questions and Answers for the Logic Games section of the December 1996 Law School Admissions Test. Questions and Answers for the Logic Games section of the October 1996 Law School Admissions Test. Questions and Answers for the Logic Games section of the June 1996 Law School Admissions Test. Questions and Answers for the Logic Games section of the February 1996 Law School Admissions Test. Questions and Answers for the Logic Games section of the December 1995 Law School Admissions Test. Questions and Answers for the Logic Games section of the September 1995 Law School Admissions Test. Questions and Answers for the Logic Games section of the June 1995 Law School Admissions Test. Questions and Answers for the Logic Games section of the February 1995 Law School Admissions Test. Questions and Answers for the Logic Games section of the December 1994 Law School Admissions Test. Questions and Answers for the Logic Games section of the October 1994 Law School Admissions Test. Questions and Answers for the Logic Games section of the June 1994 Law School Admissions Test. Questions and Answers for the Logic Games section of the February 1994 Law School Admissions Test. Questions and Answers for the Logic Games section of the October 1993 Law School Admissions Test. Questions and Answers for the Logic Games section of the June 1993 Law School Admissions Test. Questions and Answers for the Logic Games section of the February 1993 Law School Admissions Test. Questions and Answers for the Logic Games section of the December 1992 Law School Admissions Test. Questions and Answers for the Logic Games section of the October 1992 Law School Admissions Test. Questions and Answers for the Logic Games section of the June 1992 Law School Admissions Test. Questions and Answers for the Logic Games section of the February 1992 Law School Admissions Test. Questions and Answers for the Logic Games section of the December 1991 Law School Admissions Test. Questions and Answers for the Logic Games section of the October 1991 Law School Admissions Test. Questions and Answers for the Logic Games section of the June 1991 Law School Admissions Test. Questions and Answers for the Logic Games section of the SuperPrep II PrepTest C Law School Admissions Test.